Grazing now accepts online bookings. Follow the tab below to finalise your booking request. After a personalised eGift Card? Buying gifts can be tricky, but with a Grazing eGift Card you’re giving your friends and family the opportunity to get something they’ll truly enjoy. With the freedom to purchase 24 hour per day 7 days per week. Click here to shop or visit our gift voucher page. 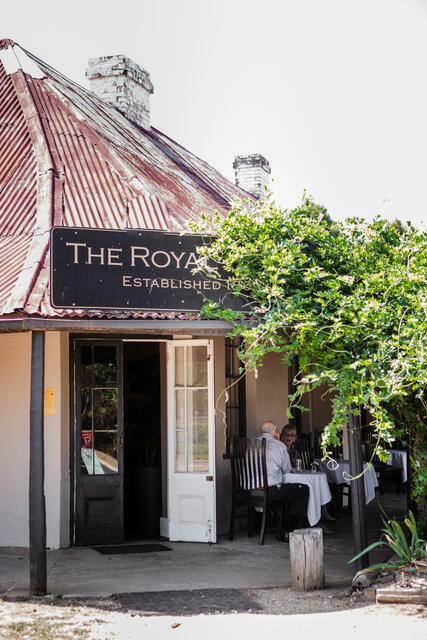 Located in the historic Royal Hotel in Gundaroo, GRAZING is an award winning restaurant with a focus on what the best of the Canberra District's food and wine has to offer. Our philosophy with food is simple: we aim to serve good size portions of great food, made with the freshest possible ingredients. We don't serve anything too fussy just combinations of flavours and textures that appeal to the senses. To complement our innovative menu we also offer an extensive list of the regions finest Canberra District wines. Chosen from some of the best known local wineries and also those who are emerging onto the local Canberra district wine scene. 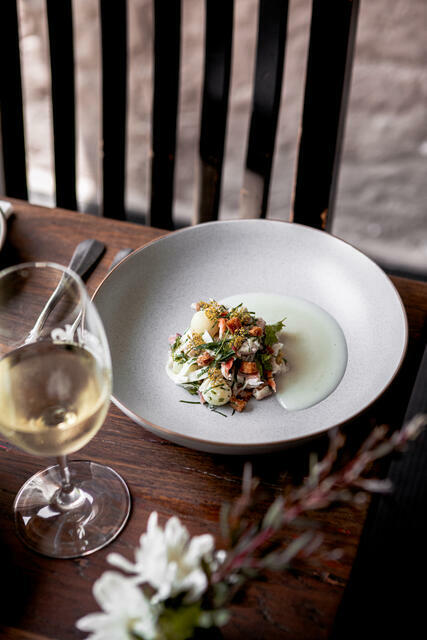 Underlying GRAZING's culinary and wine delights is the ambience and charm of Gundaroo, The Royal Hotel, and it's local staff provide friendly yet professional service.